Summer is right around the corner, which means your young children will soon be on vacation for a few months. Camp is a time-honored American tradition — and it’s one your kids may really love. However, choosing a summer camp that will fit their interests and needs (along with your budget and criteria) can be a challenge. That’s why it’s important to start early and to know what to focus on during your search. The following tips should be a great place to begin. Decide: Day Camp or Overnight Camp? Of the 14,000 camps that currently exist in the U.S., around 8,400 are resident (overnight) camps, while 5,600 are day camps. If your child is still quite young or tends to be a bit more attached to mom and dad, you’ll likely want to focus on daytime summer camp programs only (at least for now). While overnight camps won’t usually allow campers under the age of seven, that doesn’t mean your child will automatically be ready for that experience even at age eight, nine, or 10. It’s really up to both you and your child to make that decision when the time comes. Day camp is usually a great place to start because it allows your child to be active and pursue lots of different activities while easing into their independence and remaining close to home. Choosing a summer camp located close to home can mean your child will already know some of the other campers and may generally feel more comfortable with their surroundings. It’ll also mean an easier commute for families. If you’re planning on spending some time out of town as a family this summer, that doesn’t mean your child can’t go to day camp elsewhere. It can allow them to make new friends and engage in activities they might not otherwise be able to access. You’ll need to consider these options when looking at sleepaway camps, too. While local overnight camps can provide a bit of a safety net, ones that are farther away may offer unique opportunities that will appeal to your child. Once you decide on a type of camp and the general location, you’ll want to look at a camp’s history, as well as its focus or philosophy. You’ll want to ensure a camp’s mission and values line up with your own. You may also want to consider how long a camp has been around. 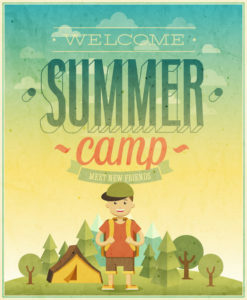 While new camps shouldn’t automatically be discounted, most people would point out that a summer camp that’s existed for many years must be doing something right. That doesn’t mean that a well-established camp is necessarily a good fit for your family, though. Look at the camp’s focus. Do they offer a wide variety of physical activities as well as arts and crafts? Or do they specialize in one specific area like art, swimming, or science? What kinds of summer camp activities would your child enjoy most? You might even consider signing up for one week of general camp (which offers many activities) and one week of specialty camp (which will allow your child to explore one specific interest, like theatre, nature, or a sport they love). When choosing a summer camp, you’ll need to be assured that the facility is safe and recognized for excellence. No matter what, though, don’t wait until it’s too late to sign up. To find out why we’re considered to be among the best summer camps Palisades Park NJ has to offer, please get in touch with us today! Next Next post: What Makes a Preschool Curriculum Better Than Just Good?